TO ACCOMPANY A MAJOR ITV DOCUMENTARY We are poisoning our planet and destroying the lives of our children. In the west arguments rage over how much nuclear radiation and toxic dumping is safe, while children continue to breath filthy air and eat food full of pesticides. In the third World, over four million children die each year from drinking unclean water. Adults make the decisions but children pay the highest price. They are physically vulnerable and politically powerless. 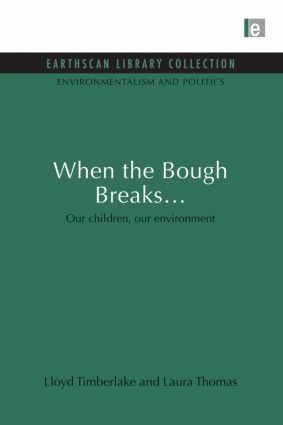 When the Bough Breaks… is about the world we are creating for our children. For too long we have used what we want from our planet now, refusing to think about the future. But it may still not be too late. The book sets out what must be done and describes how people throughout the world are uniting to clean up the mess we have made.